It may be hard to believe (or even stomach), but the first primary in the next presidential election is less than a year away. And it seems clear that unless something dramatic happens in the next few months, the Republican standard-bearer will be incumbent Donald Trump. But who’s on tap for the Democrats? According to a Feb. 1 article in the Los Angeles Times, nearly 30 potential candidates have publicly stated or hinted they are considering a run, including former vice president Joe Biden and 2016 contender Bernie Sanders. But at this point, no one knows for sure whose name will be on the ballot in the first major vote of the presidential cycle, the Feb. 3, 2020 caucus in Iowa. But one thing we do know for sure: one of the highest profile politicians in our region, Los Angeles Mayor Eric Garcetti, won’t be one of them. 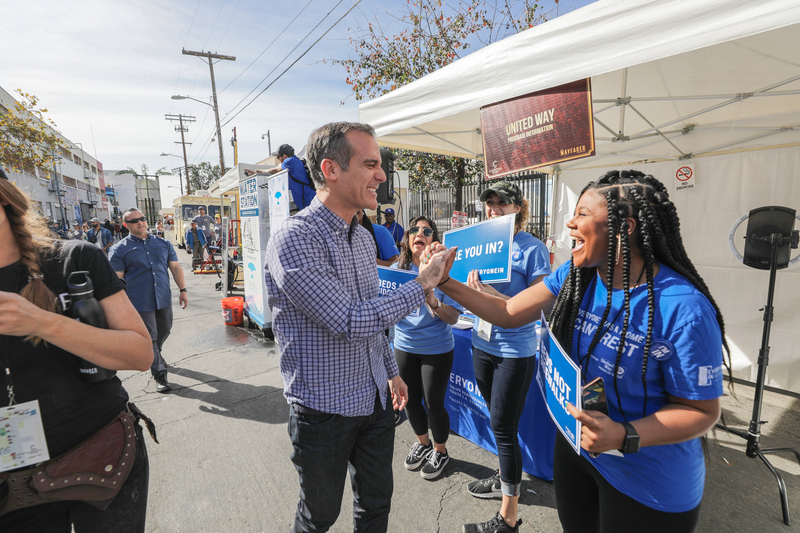 After about a year of flirting with the idea of a possible White House run in 2020, Garcetti on Jan. 29 withdrew his name as a candidate. Salvatore Russo, an assistant professor in the CSUDH political science department, said that while Garcetti’s role in ending the recent strike of Los Angeles Unified School District teachers would have helped him in California, he was not surprised that the 47-year-old officially withdrew his name. Russo said at least three Democratic hopefuls have much better chances than Garcetti. These include Kamala Harris, a former California attorney general, and current senator; Elizabeth Warren, the high-profile senator from Massachusetts; and Kirsten Gillibrand, a junior senator from New York. All three have a far more prominent national profile than Garcetti, Russo said, and while his appeal in California may have been strong, Harris’ in particular, is even stronger. “Harris has already run statewide offices in the state where Garcetti would have to win in order to want to be competitive in the Democratic field,” Russo added. But though the 47-year-old mayor of America’s second largest city is out for 2020, don’t count Garcetti out in the not-so-distant future. His role in helping mediate the recently concluded strike of LAUSD teachers boosted his image locally and could serve as an inspiration to teachers across the country, Russo said.